Day to day management of the Great Hospital is vested in the Chief Executive known by the medieval title of ‘Master of the Great Hospital’. He is supported by 5 managers who form the Senior Management Team. 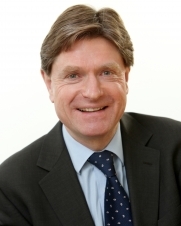 Having been a partner of a regional law firm for 28 years, Andrew left his role as Senior Partner to join the Charity in 2017. He is Master and Chief Executive of the Great Hospital and its smaller subsidiary charities. He is also the Executive Director of TGH (Commercial) Limited, a wholly owned trading company of the Great Hospital. 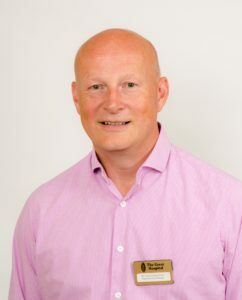 In addition to his role at the Great Hospital, Andrew is a Trustee of Priscilla Bacon Norfolk Hospice Care, The Forum Trust, Norfolk and Norwich Festival Trust and The Thursford Collection and a Governor of City College Norwich. Niki has a wealth of business experience gained in the corporate sector, principally within the Virgin Group. 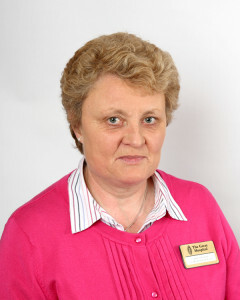 She has worked at the Great Hospital since 2012 and provides full executive support to the Master and is his Deputy. 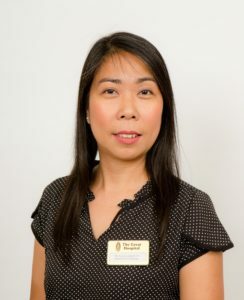 Niki is also Office Manager, HR Manager, Marketing Manager, charity administrator and provides support to the Board of Trustees. 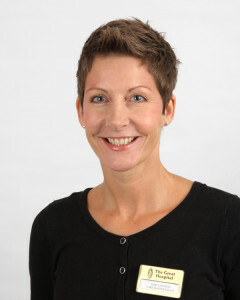 Anne has a clinical qualification but has worked in the care sector for many years. Anne is a fully qualified and registered Care Manager and also holds a City & Guilds 730 teaching certificate and is highly experienced in palliative care achieving NVQ level 5 in service provision and validation for the Great Hospital through the 6 Steps course. Anne has worked at the Great Hospital since 2001 and is responsible to the Master for the care and welfare of all residents on site. Elmira is a member of the Association of Chartered Certified Accountants and has a Diploma in Management Studies. She has work experience in both Charity and Commercial organisations and joined the Great Hospital in 2018. Elmira is responsible to the Master for the day-to-day management of the Great Hospital’s financial activities. Adam has 25 years of experience in the delivery of estate management strategy and property portfolio management across various commercial sectors and joined the Great Hospital in 2018. Adam is responsible to the Master for all aspects of estate management, maintenance and facilities management and is also the Great Hospital Health and Safety Advisor and is responsible to the Master for the safe operation of all non-care related activities on site. Adam joined the Management Team in 2016 as Executive Chef after excelling for many years as a local Head Chef. 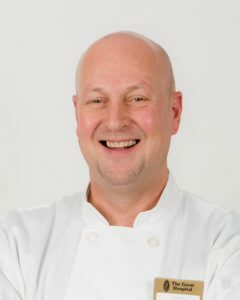 He has worked in various well-respected restaurants in Norfolk and is notably experienced in fine dining and bespoke events. Adam now holds the position of Hospitality and Catering Manager.